he flings himself at the pane: hammer, hammer again. it’s still fling, hammer, fling, hammer again. the same things again and, hammer, again? only the hammer, hammer, hammer again. C.K. 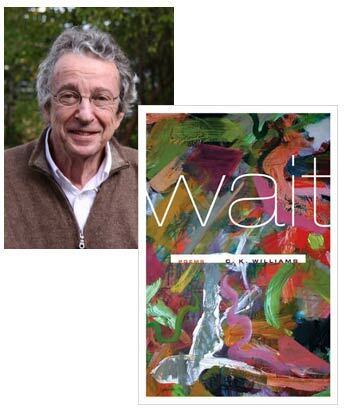 Williams will be reading from his latest collection, Wait, tonight at the Free Library in Philadelphia. Other poems in this book include “We” (published in Slate), “Dust” (The New Yorker), “I Hate,” and “Zebra” (both from Poetry). I’ve been curating a series of events at Brooklyn’s Greenlight Bookstore for the last few months, where we start out with an author reading from his or her latest book, then segue into a conversation with a local blogger about the book and its themes, and about writing and life and the writing life, then open it up to the audience for questions. 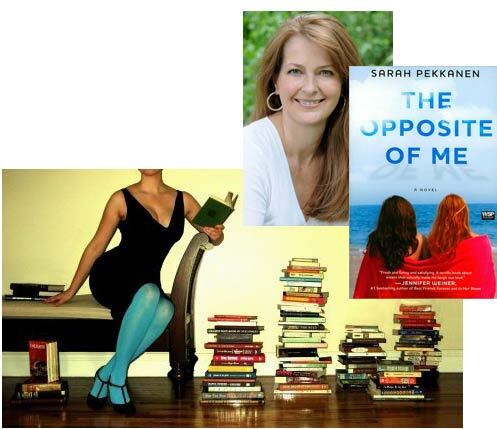 Tonight, I’m looking forward to introducing Sarah Pekkanen, who will be reading from her debut novel, The Opposite of Me, and Christina Oppold, the creator of Stacked, one of the best in a recent wave of new book blogs. If you’re a fan of contemporary women’s fiction, I think you’ll really enjoy this evening—and if you’re a fan of indie bookstores, you’re going to love Greenlight if you’ve never been there before.